1.Keepower specializes in producing battery products for more than 5 years. 2.All Keepower battery packs comply with RoHS and CE security testing standards. 3.Keepower is always providing the highest quality products and excellent customer service, looking forward to your support and your positive affirmation. Always remove battery from your tool when not being used for a long time. Place it in a dry and clean environment away from heat source and metal objects. All our products have 30 days money back and 1 year warranty. 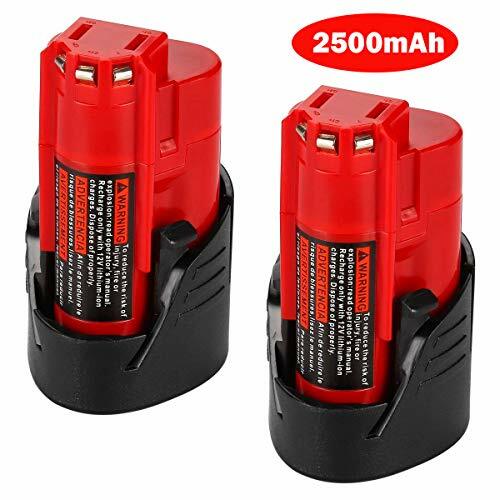 ▶▶It is a replacement battery, but completely compatible with 12V Milwaukee M12 Battery. ▶▶No memory effect: could be charged or discharged according to your need without losing capacity. Factory direct sales, quality assurance. Anti-oxidation longer the battery service life. ▶▶More safe: all EPETEK battery with FCC, CE Certified, and over-charging, over-discharging, over-heating, short-circuit protection. Li-ion technology: without Pb, Hg, Cd, no pollution, eco-friendly, more stable, safe to store. ▶▶Guarantee: 30 days money back guarantee, 12-month warranty, 24 x 7 timely email response. Any problem, tell us and we will help you solve it at once. For competitive battery, price and service, no more hesitation, just go for it. If you have any questions about this product by Keepower, contact us by completing and submitting the form below. If you are looking for a specif part number, please include it with your message.